The following timetable has been suggested to give you an idea of the timing of the different events in the home-buying process. It is meant to be a guide, if you have any questions, please don't hesitate to give us a call. 1. Schedule and attend the home inspection. 3. 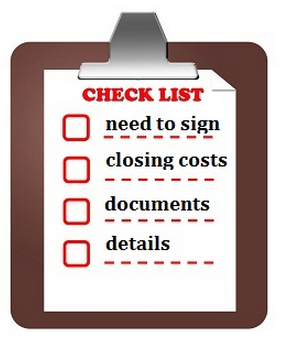 Make repair requests to seller as a result of the home inspection. 5. Confirm that all information requested by the mortgage company has been submitted. 1. Sign P&S and bring a check for the additional 5% -minus the $1,000 Deposit at offer. 2. Call to find out if Mortgage Company needs additional information. 1. Check on your Mortgage Commitment from your loan company or bank. 2. Call your lender to make sure they have scheduled the Appraiser to go out and view the home. 1. Arrange for transfer of utilities, except for public water, your attorney will do that. 2. Arrange for the moving van’s arrival date and time. 3. Walk through home to verify completed repairs with me. 4. Arrange for cashier’s check for closing, the paralegal will tell you the amount. 6. Notify Post Office, Banks, Credit Card Companies, etc of your New Address. 7. Check with a Financial Advisor. YOU GET THE KEYS!! CONGRATULATIONS! !